Stroke is the fifth leading cause of death and the leading cause of adult disability in the United States, according to the American Stroke Association. High blood pressure is the most important risk factor for stroke. A stroke, sometimes referred to as a cerebral vascular accident or a “brain attack,” is an interruption in the flow of blood to brain cells. Brain cells die when deprived of oxygen from blood. A stroke occurs when a blockage of an artery prevents blood from reaching cells in the brain, or when an artery ruptures inside or outside the brain, causing hemorrhage. According to experts, a stroke should be treated with the same urgency as a heart attack. Every second is critical to patient care, survival and subsequent quality of life. At the Stroke and Cerebrovascular Center at Manatee Memorial Hospital, stroke patients receive specially designed services and treatments which focus on prevention and intervention, as well as rehabilitation and education. For more information about the Stroke and Cerebrovascular Center, call our Manatee Healthcare System Stroke Coordinator, Christine Gonzalez RN, CNRN, at 941-812-9566. Remember: If you or a loved one experience any signs of a stroke, call 9-1-1 immediately! The Stroke and Cerebrovascular Center offers a rapid-response Stroke Alert Team to evaluate and treat all stroke emergencies 24 hours a day, seven days a week. Our team-based approach allows for streamlined treatment and services. 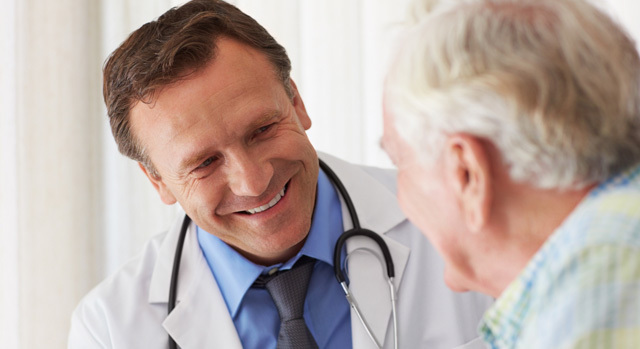 In fact, recent clinical studies indicate that a team approach improves patient outcomes. Our expanded stroke unit offers advanced diagnostics and stroke treatments. Included among our treatment methods is thrombolytic therapy, which can greatly benefit patients if administered within three hours of a stroke. Manatee Memorial Hospital has the county’s first Biplane Interventional Radiology Suite featuring the Azurion image-guided therapy system from Philips Healthcare. This flexible system can aid in the diagnosis and treatment of a range of medical conditions including stroke, cancer, biliary disease or vascular disease, using minimally invasive procedures. Manatee Memorial Hospital has received the American Heart Association/American Stroke Association’s Get With The Guidelines®-Stroke Gold Plus Quality Achievement Award for the tenth year. The award recognizes the hospital’s commitment to ensuring stroke patients receive the most appropriate treatment according to nationally recognized, research-based guidelines, based on the latest scientific evidence. The hospital also received the association’s Target: Stroke Elite Honor Roll award for the second year. To qualify for this recognition, hospitals must meet quality measures developed to reduce the time between the patient’s arrival at the hospital and treatment with the clot-buster tissue plasminogen activator, or tPA, the only drug approved by the U.S. Food and Drug Administration to treat ischemic stroke. As every second is critical to patient care, it is important to know the warning signs of a possible stroke, listed below. Balance is affected. A person may fall or feel unsteady. Eyes are blurry or have difficulty seeing when you ask a person about their vision. Face droops when you ask a person to smile. Arm weakness when you ask a person to raise their arms above their head. Speech is slurred when you ask a person to repeat a sentence. Time is important. If you notice any symptoms of a possible stroke, call 9-1-1. Stroke resources can be found on the American Stroke Association's website.